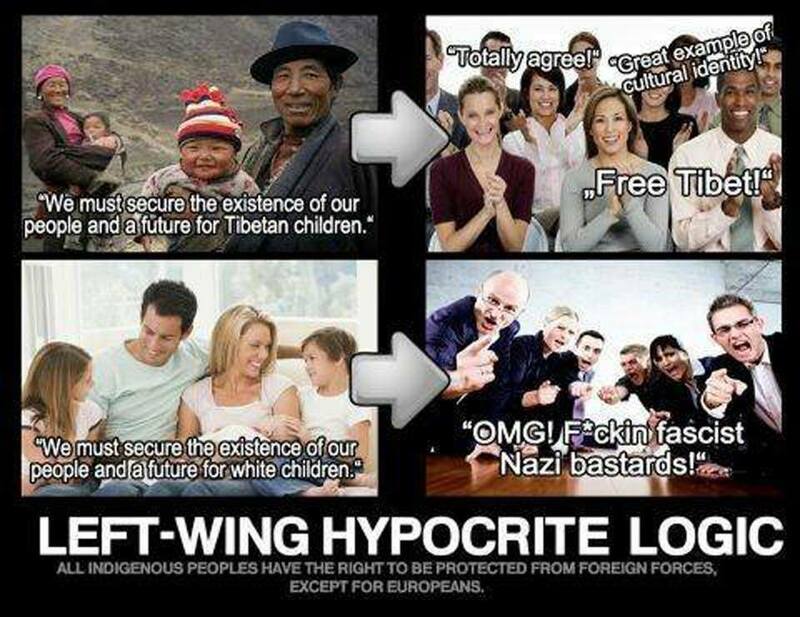 The Lies, Hypocrisy and Deceit of the Left. Western Voices World News » News » May 2017 » The Lies, Hypocrisy and Deceit of the Left. KNOW THIS: Look at your country, do you honestly believe that all of the mass immigration and pro multicultural propaganda has been a natural occurrence? By falling for this leftist propaganda of all races uniting to defeat a common enemy, we would be facilitating the downfall of our own people as they have planned. Whenever we hear leftists speak about workers rights, social justice, tolerance and diversity, we have to remember that these people are traitors, and what they say and what they mean are two very different things. What they say, sounds to many as 'righteous' but to those who can see behind the mask we know that their true agenda is as far removed from righteous as anybody can get. So for those who are misled and duped by left wing arguments, this is a look into what lies behind the mask of leftist groups. These people often call themselves 'anti-racists' and socialists, but what they are is communists, internationalists who believe in the communist slogan 'Workers of the world unite.' This basically means that they see socialism/communism, as an ideology that is supportive of a world with no borders. They despise the nation state, they despise the culture, the majority ethnic group and what they will tell you is the oppressive class ie the capitalists, bankers and corporations. And now since the emergence of cultural marxism, it is whites, Christianity and Western culture that have joined the list of oppressive groups exerting power and influence over all others. The left see themselves as neo-revolutionaries who use communist rhetoric in softer terms, but wish for the same outcome that the communists in 1917 Russia had. They still campaign on workers rights issues, but it is no longer just workers of the world unite, but whites and minorities in ONLY white countries unite. It is cultural marxism using minorities to achieve what the workers of the West rejected ie communist revolution. If a communist revolution were to happen tomorrow in your country, you can guarantee that all of the leftist groups would be actively involved and supporting it, and would rejoice in the communist takeover of your country. The neo-revolutionaries, groups such as the far left unions, 'anti-racist' groups and anarchists etc will tell you that we should all 'unite' against our oppressors, war mongers, banks and corporations no matter our race or religion. They will tell you that our oppressors aim, is to set race against race and to divide us. And to a degree that is true, but not in the way they would have you believe. The only racial group that has been divided and almost conquered are the indigenous people of this country and all other ethnically European countries. And it is that, which was always the aim, and these neo-revolutionaries aid them in doing that. As we have said, they are the useful idiots who do the groundwork of the people they say they oppose, and are that stupid that they cannot see that, or of course know exactly what they are doing. Those they speak of as oppressors, are the same ones implementing conditions onto white Western nations that weaken them and ultimately make them less likely to rise up for their people and nation. Look at your country, do you honestly believe that all of the mass immigration and pro multicultural propaganda has been a natural occurrence? By falling for this leftist propaganda of all races uniting to defeat a common enemy, we would be facilitating the downfall of our own people as they have planned. None of what leftists say is in the national interest, nor is it in the interests of the indigenous people of that nation. Their intent is the eradication of the nation state in the long run, just as it is the aim of Jewish globalism, the people who control the banks and the corporations. An open minded look into who has been behind mass immigration into white countries will show you who has designed the West to be as it is today, and that it has not been a natural occurrence but social and ethnic engineering on an unprecedented scale. 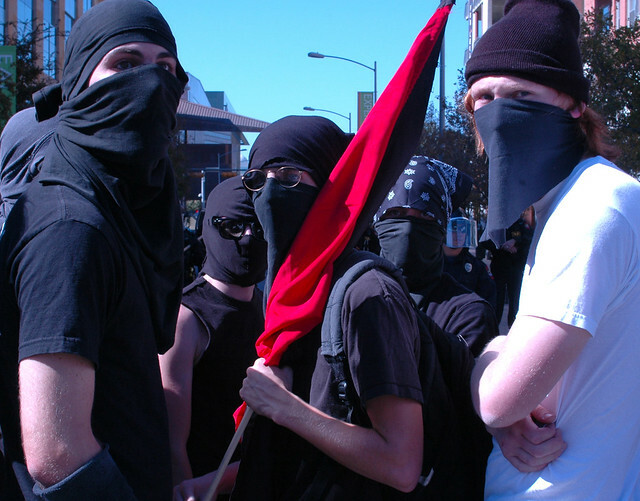 The neo-revolutionaries of the left are proponents of cultural marxism, they attempt to justify their hatred of the nation state and hatred of our history and culture with the cultural marxist narrative that we the white race of different nations colonised the world, according to them we raped and pillaged all non European continents, and oppressed everybody we came into contact with. We they say, are responsible for slavery and we apparently are the ones who are behind the current series of wars in the middle East, and by we I mean what they perceive to be a 'white' power structure. They use this narrative and repeat it often, as an excuse to empower non-whites, along with other minority 'victim' groups who became their new revolutionary tool to deconstruct and destroy from within ethnically European nations. This is the tactic that has long been employed by Jewish globalists to undermine and destroy culturally and ethnically homogeneous European peoples, who would, if not under the spell of globalist media indoctrination, stop them in their tracks. And the hilarity of it all, is that the same globalist groups who the left oppose are the ones financing them, not because they believe in what the left say, but simply because what the left say and do aids globalism in its annihilation of the homogeneity of the West, what was that saying again? Useful idiots? Basically, those who have always sought an end to white European and Christian nations have tapped into the stupidity and naivety of wannabe revolutionary leftist groups and use them as a tool of deconstruction. Just as during the Bolshevik revolution, Jewish capitalists and Bankers financed the Red Army led by Jews to bring down the Russian Czar, the Russian people and nation. So the rhetoric of fighting an economically oppressive system was nothing but a myth perpetuated by those who really wanted Russia destroyed, the Jewish bankers and globalists. And so it is today, different era same agenda, and same tactic employed. Leftist groups are the foot soldiers of globalism, aiding in the destruction of the nation state and homogeneous European nations. Can anybody with an ounce of common sense, not see that the lefts support of immigration, multiculturalism and of 'diversity' is nothing but a continuation of their desire for an end to our nations as homelands for the indigenous people. What other purpose does it serve for them? Does it benefit the white working class? Does it benefit your children? What about future generations of our people? When a leftist group such as the Uaf hold a rally in London for example, in support of multiculturalism and 'diversity' then stop for a minute and think about what they are really saying. Look at London, a capital city in a once white European country, were whites are now in the minority. 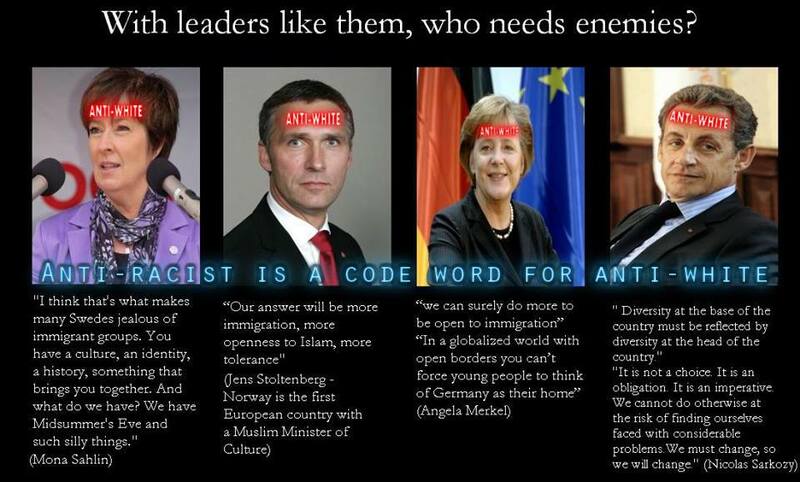 Is that what they support, of course it is, that is what they have always wanted and that is what globalism always wanted. When you see groups such as the Uaf come out in support of illegal immigrants then ask yourself why are they really supporting them, it is not out of any compassion for their plight, it is because illegal immigration further destroys the ethnic and cultural make up of the nation state and dominant ethnic and cultural group. After taking a step back and thinking about it in a different way to what they tell you, ask yourself how any of what they say is beneficial to you as an indigenous person to your country, ask yourself is it beneficial to your childrens future. The answer to any right minded individual is that no it is far from beneficial to you or your children, it is severely damaging. Then you may understand the true nature and agenda of leftist groups. For an ideology that supposedly campaigns and fights for the working class people of this country, they do a great job in doing everything they can to support everything that is detrimental to the indigenous working class and to the benefit of outside groups. The key component of communistic style thinking is the oppressed group and the oppressor group, without it communism has no fuel for its fire, similarly with cultural marxism. The communism of old spoke of an oppressive economic system, it said that it would appropriate the wealth, land and property of the middle and upper classes and demolish the oppressive class system that saw the proletariat (working class) at the bottom of the pile working to provide wealth for the upper classes. As we all now know, this was another lie, as the wealth, land and property was appropriated (stolen) and was in control of the select few and mass murder and orchestrated mass famines ensued. 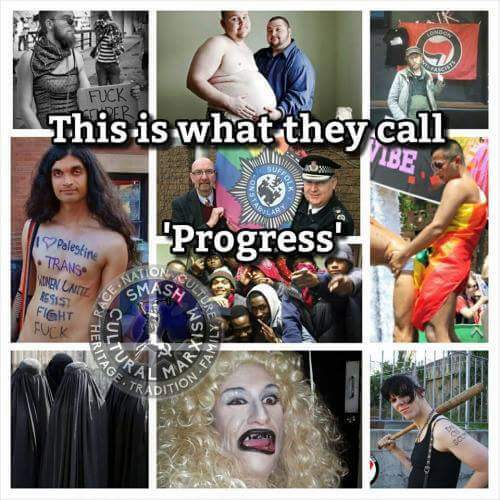 Cultural Marxism works on the same basis, the oppressors now according to them, are Western culture, the white race, the family (communism also wanted to abolish the family) the father, heterosexuals, Christianity and men. Our freedom of speech, our homelands, the minds of our people, our culture, our identity, our families and morality have been appropriated by stealth, and as with communism it has all been done to achieve certain goals contrary to what they tell you. They tell you that we have no right to be against mass immigration because 'we colonised them in the past and treated them badly', what goes around comes around they say. They always fail to mention that every race, culture and nation has done something historically that they shouldn't have, but the emphasis is always on white Western civilisation and European Empires and in particular the British Empire. The left never tell you that the Turkish Empire was one of the longest lasting, largest and most brutal empires in the world. Do you see Turks being so stupid as to fall for all the self hate that is common among many Europeans? No. Do you see anybody using the history of the Ottoman Empire to flood Turkey with tens of millions of non-Turks? No. So why then, is this agenda seemingly only pushed onto white people? Another thing the left always fail to mention is that whites were the first people to be enslaved by North Africans aswel as Arabs. They dont mention the Jewish role in the African slave trade or the Arab role in it, they perpetuate a creative history in which whites alone were the only ones who were involved in slavery, not that whites have been enslaved also and if anything slavery is an economic evil and nothing to do with race as its made out to be. Do we see Jews or Arabs being induced with false guilt for their roles in slavery? No. Why do they never tell you that blacks enslaved themselves long before any European showed up, and that blacks sold blacks long before and long after whites brought about the abolition of slavery? So much they fail to tell you because it does not fit their anti-white agenda. They deny that gender roles exist naturally, and they tell us men and women are 100% exactly the same. They tell us that children do not need a mother and father, and that a father and a father is just as natural and normal. I could go on and on, but all of this is nonsense to anybody not brainwashed by it. The end goal of this school of thought is the same as what old school communists wanted. In Russia they wanted an end to Russia as it was, it had nothing to do with opposing capitalism, and had everything to do with Jewish hatred of Russia and the creation of an ideology that they hoped would sweep across the West, but which failed outside of Russia..... enter Cultural Marxism. In the West, they wanted an end to the cultural traditions and norms of ethnically European people because of an historical hatred and fear of them, and they use these idiotic arguments as a strategy to achieve it. 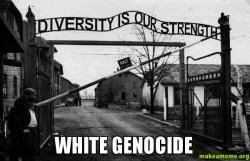 It has got nothing to do with wanting 'equality' 'diversity' and 'social justice' but it has everything to do with how best they can destroy Western civilisation and the white race to achive their communist 'utopia' which in reality will be the New World Order in which the useful idiots having served their purpose will disappear in the night. The difference between communism and cultural marxism besides the perceived oppressive group, is the tactics. Cultural Marxism is slow, gradual revolution based on subversion and infiltration, whereas communism was revolution based on instant violent overthrow of nations. 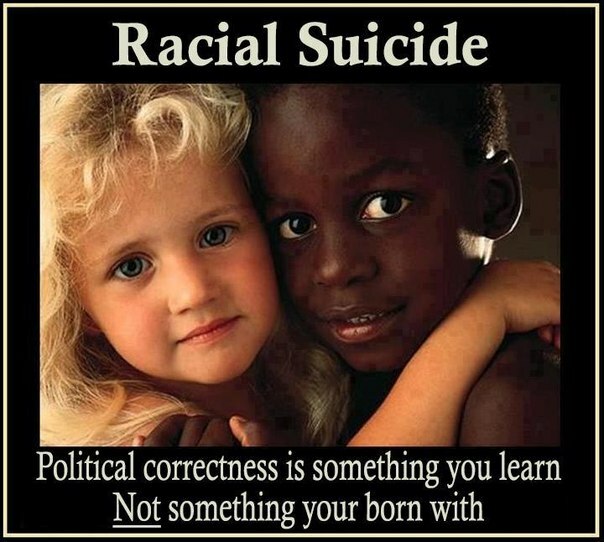 And it is cultural marxism that the left subscribe too knowingly or not today. They still see themselves as Trotskyists, Leninist or Stalinist but most of them are also supporters of Gramsci, Marcuse, Adorno and Freud etc. Another way to look at it, and to see that everything the left stand for is to destroy the nation state is to see how many national flags you can see on leftist demonstrations, you wont find one, they hate the national flag of every country. They hate all national, cultural and ethnic identity and they hate pride in any of them even more. What you will see on their demonstrations and rallies are many red flags, symbolising communism. You will see Che Guevara flags, you will see flags of the international marxist brigades who fought in the Spanish civil war. You will see anarcho-communist and anarchist flags, you will see trade union banners and flags but what you will never see is national flags or patriotic banners. Why is that? Could it be because their true agenda is and always has been to work against the best interests of the nation state and its indigenous people to further their world without borders ideology ie communism. Perhaps the most hypocritical example of leftist strategy is its support for Islam. Again, this has to be seriously considered when anybody is trying to understand the mentality of the left. Everything the left say they oppose is commonplace in Islam, oppression of women, of homosexuals, strong family values, religion etc. So why would the left support Islam in that case, but be opposed to it if it were displayed by white Western Christians? And i dont mean oppression of women but all of the other examples. If a Christian says he is against homosexuality then he is an intolerant homophobe who is using an outdated religious teaching to force people to conform to something that doesn't exist, there is no moral code, who are we to say who can do what etc. If a Muslim says it, then its part of his religion and we should respect his opinions and everybody has the right to religious freedom. The lefts support of alien religions, cultures, and peoples is simply because they are drastically changing the face of European countries that the left want destroyed. It is an alliance of destructive intent, and your country, religion, culture and people are its target. The major differences between the left and those who the left oppose politically, ie nationalists, is that nationalists do not support the current political or economic system in place either, but we do not seek the destruction of the nation state or our people to achieve change, the change we seek IS in the best interests of the nation and its people. We dont hold our history, culture and people in contempt and we certainly dont blame them for the state of our nations today. We recognise that we have a corrupt political and economic system that is controlled by people who also want the demise of nation states, and we recognise that the left are pawns in that same nation destroying game. We know our enemies, we know that globalism and far left politics are two hands of the same beast. We see the hypocrisy of the left and their treachery. We see through the historical lies of the cultural marxists, we know why and how the left use these lies to further their own ideological aims. We know who funded and founded communism and who has been behind the mass murder of hundreds of millions. 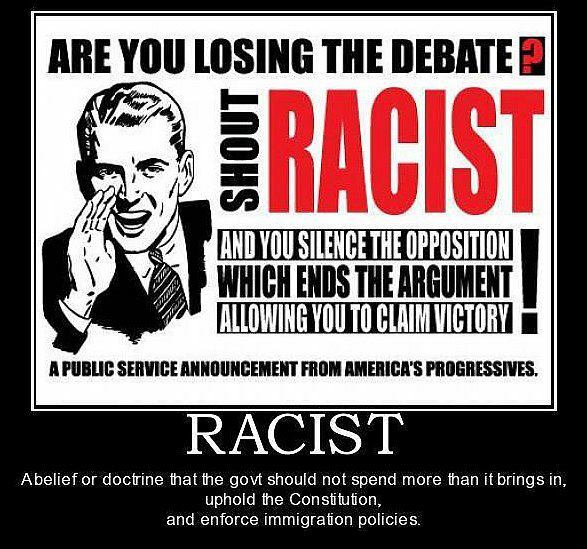 We know that to be called racists for defending our country and people is the accusation of the schoolyard. We have to understand that everything bad in our nations was designed to be that way, it did not happen by accident it has been for a driving political purpose and ideological agenda. We have to understand that our precarious financial situations as nations is no accident, that our own personal financial enslavement is no accident either. We have to understand that the wars we are now embroiled in are not in the best interests of our nations but in the best interests of Jewish globalism. Support our troops but dont support our treacherous politicians who send them to war based on lies for another country's interest. Understanding all of this will lead to the recognition that multiculturalism, mass immigration, the left, wars in the middle East and financial enslavement are all linked to one thing, the march of Jewish globalism that has always sought the end of white nation states and through communism/cultural marxism and mass immigration supported by the left it is achieving it, what is mass immigration and multiculturalism if not to erode national, ethnic and cultural identity? Achieve that then what is left of the nation? Through financial control of nations and banking systems it is achieving it, through globalist media it is achieving it, through their useful idiots of the left they are achieving it, through your apathy they are achieving it. When the left say we should all unite no matter our race or religion, just remember that in doing so you are aiding in the continuing destruction of your people and nation and serving the agenda of those who are behind it. That doesn't mean you have to hate other people, loving your own people and country does not mean hatred for others, understanding what is really going on is going to bring you to an uncomfortable conclusion, but one that cannot be ignored. Mass Immigration and forced Multiculturalism along with financial enslavement and war in the middle East via control of our governments is Jewish globalisms way of achieving global dominance without opposition, the left may aswel have Kosher mop handles stuck up their backsides because thats all they are, tools to be used to mop up the last of the European people's resistance. Some people argue against nationalism saying it is in itself a collectivist ideology. They go off in all directions detailing why they believe nationalism is as bad communism. Without going into it all, nationalism is in no way the same, or as bad as communism. Nationalism believes in the indigenous people of the nation coming together for the good of the nation, with both the people and nation working together for the betterment of each other whilst at the same time honouring our ancestors and their sacrifices in accomplishing what they entrusted to us. Nationalism does not betray the nation to internationalism, nationalism seeks to take control of the nations assests not to hand over to treacherous politicians working on behalf of globalism, but to ensure that the nations assets are used for the people of the nation and not subject to the abuse of international globalism masquerading as your government. Nationalism does not give the country away and destroy the ethnic and cultural make up of the nation for the deceitful myth of 'enriching' diversity. The people of any given nation do not have to give up their individualism, but in times of need and to better themselves and their nation it requires a coming together as in times of war for example when people come to together to defeat an enemy. Nationalism is not the problem nor is it the enemy, the collectivist ideology of communism is nothing like a nation coming together. Communist collectivism is about national destruction, nationalist collectivism when required is about defending and preserving the nation and warding off all potential threats to the nation, like a family, it has a collectivist attitude within its own environment, or in the nations case borders. The family would not open up their home to the whole community, they work collectively to the betterment of the people close to them within their family, the same as the nation should do. The family does not shun the outside world, but at the end of the day they close their door and enjoy the hard earned comforts of their hard work, the same should apply to the nation. In the world in which we are living, do we really have anything to lose by putting our faith in nationalism. So to summarise, the left are an enemy within. Either through sheer naivety or through an active understanding of what they are doing, they represent an enemy fifth column that is being used to strike at the heart of our people and nations. The next time you hear them talking about 'social justice' 'diversity' 'multiculturalism' and 'anti racism' just consider what their true agenda is, if you talk to one of them and chip away at the external mask, what you will find inside is what has been detailed in this post. And that is a deep rooted hatred of the nation, the culture and of morality. They are racial and cultural nihilists. They are the ones who say they are anti-racist when what they are is anti-white.